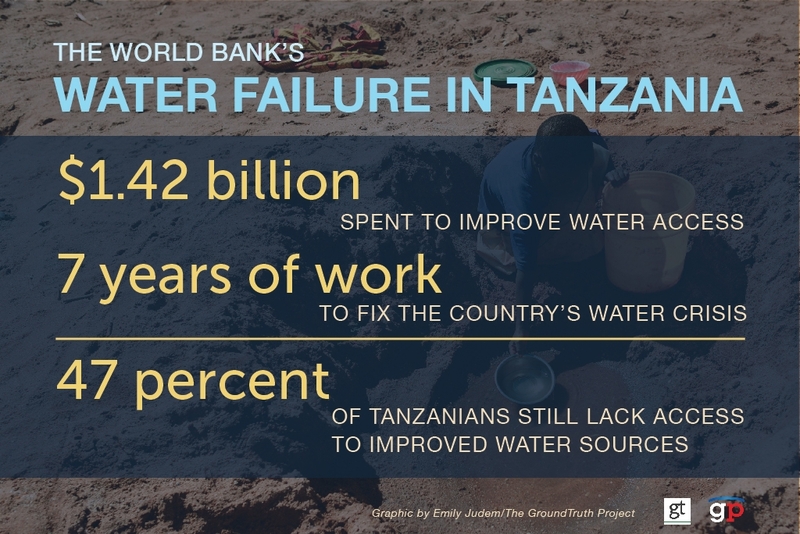 In 2006, the World Bank launched an unprecedented drive to fix Tanzania’s water crisis once and for all. In the past, international donors funded different projects in the country’s water sector. This time, the World Bank would provide Tanzania with the financial and technical support to organize them to pool their money together, in a grand experiment that combined rural and urban water resource management into one plan. To date the drive has attracted more than $1.42 billion in funding from various donors and the Tanzanian government, an incredible sum for a single project in a small country like Tanzania. The initial goal was ambitious: to bring improved access to water to 65 percent of rural Tanzanians and 90 percent of urbanites by 2010, and continue until each and every citizen had safe drinking water. By all metrics, the project has failed categorically. Read Part One in the series: Seven years and $1.4 billion into an unprecedented, World Bank-led collaboration to improve water access in Tanzania, a grand experiment in development aid has achieved none of its goals.